I am a lover of books. Books are not just a means to end, they are part of my story. So beginning with this entry, I will begin a series called The Books That Shaped My Life. And so I begin with a book that set a path for my life on which I am still travelling: Tough Love by Bill Milliken. In the summer of 1970, in the language of my evangelical upbringing, I committed my life to Christ. Since the age of five, my family and I had been attending the Colonial Church of Edina (MN) pastored by a young, socially minded pastor, a graduate of Union Seminary in New York, Dr. Arthur Rouner. 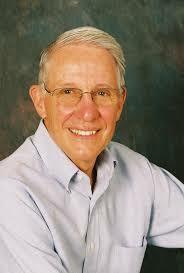 Dr. Rouner was and still is an interesting mix of a pentecostal, evangelical and social gospel preacher. I grew up hearing sermons calling me to care for the hurting and the poor of the society. Thus, when at 17 I made a conscious commitment to dedicate my life to following the example and teachings of Jesus Christ, I instinctively believed that this entailed not just my eternal salvation, but also a call to care for the poor and hurting of the world. A few months after that spiritual awakening, a friend shared with me a new book entitled Tough Love. Tough Love tells the true story of two white suburban guys, Bill Milliken and Dean Borgman, who in the 1960’s moved into the Near East Side of Manhattan to work with low income African-American youth. They were working under the auspices of an evangelical parachurch organization known as Young Life. At the time I was involved with Young Life in my suburban community, and so was fascinated and enthralled by the story of these two white guys going to work in the “ghetto” with these kids. Now, many years later, I realize that the appeal to me and (most likely) other readers of this book was a patriarchal, top-down, missionary-oriented theology that regarded suburban white folks as the “saviors” of the urban poor. Today, I fully reject that way of thinking. Ministry and any kind of human service work work needs to be a mutual partnership. However at the time, this book planted in me a seed of interest in living and working in the city. However misguided this dream was, it set me on path toward an involvement and love of the city that continues to this day. A couple years later, Milliken wrote a follow up book called So Long Sweet Jesus, in which he reflected more fully on his experience. One of the things that impressed me was his insight that one of the greatest gifts one person can give another is to receive what other has to offer. Too often in missionary and even social service work, a dependent relationship is established that allows the giver to maintain an air of superiority over the “needy” persons he or she is serving. What Milliken realized is that he had as much to receive from the people he worked with as he had to give, and so he stressed receiving in addition to giving. That insight has served me in my years of ministry, my interaction with students, with my children and interactions throughout life. Relationships and community are as much about receiving as they are giving. By the time I graduated from college in 1975, both Dean Borgman and Bill Milliken had moved on from New York City. Nonetheless, I was clear that I wanted to do urban youth work in a way analogous to what I had read in Tough Love, and so I contacted both Milliken and Borgman. 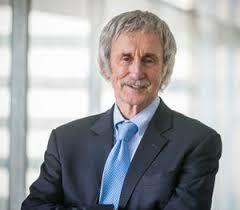 Bill Milliken had moved to Atlanta, was living in intentional community, and had started a project he called Cities in Schools (today called Communities in Schools), a nationwide organization that works directly with public schools to provide support services to low income students with the goal of helping those students stay in school and graduate. Dean Borgman had moved to Hamilton, MA and was teaching youth ministry courses at Gordon- Conwell Seminary. Today he is an ordained Episcopal priest is a nationally recognized expert on youth issues. Since Milliken was located only a 100 miles away from Durham, NC (where I was in school) in Atlanta, a friend and I drove down to Atlanta to meet with him. Then as now, he was an energetic, charismatic figure whose passion for helping the neediest was palpable. My buddy, Neal Keny, actually went to work for Cities and Schools for a couple years, then got involved in international relief work, and today is the Executive Director of Mercy Corps, an organization that provides refugee assistance to thousands of people in some of the most desperate and war-torn places in the world. I also wrote Dean Borgman, and we talked by phone. He invited me to come to Boston for an exploratory project he was starting. He had pulled together a local group of leaders who were hoping to start a Young Life outreach in a Boston neighborhood called Jamaica Plain. I was hired to come up and do “research” on the feasibility of a youth ministry in that area. After three months of developing relationships with kids on street corners, basketball courts, bowling alleys and other congregating points, it was determined that the work could continue, and I stayed there for three years and started a vibrant youth program, which was handed off to my fellow youth worker, Jay Gemberling-Johnson, who built it even further. The ministry continued for over a decade after I left and today Jay and I are the best of friends. Though I went on from Jamaica Plain to seminary, followed by 16 years of pastoral ministry and then 21 years teaching at Eastern University, the foundation of Milliken’s call to “tough love” has shaped my life since the day I first encountered that book. While the neighborhood of Jamaica Plain has changed significantly, I have occasionally heard from the “kids” we served (who are now in their 50’s) who call to just tell me how they are doing. Through all these years I have never wavered from that initial vision that being a follower of Jesus is not about getting to heaven, but rather involves seeking to embody the love, grace, peace and forgiveness of God in the way I love and interact with the people around me – that God’s love is a tough love that stands with us through the greatest challenges in our lives. 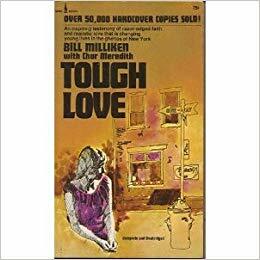 Bill Milliken (1971) Tough Love.Fleming Revell Company. Bill Milliken (1973) So Long Sweet Jesus: A Streetworker’s Spiritual Odyssey. Prometheus Press. I look forward to this series Drick, ecause you have such good taste. It will be fun to see how your thought developed through the books you read.